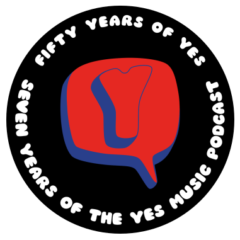 I am enjoying these episodes that compare Yes songs through the years. You mentioned that you remain skeptical that Leaves of Green would work without the context of the full song Ancient Giants Under the Sun. I disagree. To me, Leaves of Green only works as a solo piece. I love TFTO and Ancient in particular, but I have never thought Leaves of Green fits well in that context. It seems to be tacked onto the end of a 13 minute composition that needed some padding to fill out side 3 of TFTO. The context it was forced into never fit for me. I enjoy the song Leaves of Green on its own, but it does not seem to have anything to do with the larger context of Ancient. Never has. One other comment. You mentioned the thrill that Masterworks audiences must have felt after hearing Leaves of Green. I loved the concert that I saw during the brilliant Masterworks tour. But after Leaves of Green, Howe and Anderson shook hands. A rehearsed handshake? Seemed a bit contrived to me … No thrill here. Hi Joe and many thanks for the comments. Rehearsed handshake…well, I’m sure some things are staged and this could have been. Other bands plan transitions to the second, I understand so it’s really not out of the question. It makes me wonder about other incidents as well. Thanks again and keep contributing!